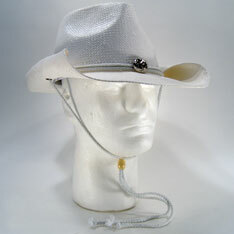 Premium quality pre-formed hat of firm, cured straw - Perma-coating is bright white. Crown size 5 1/2 inches. $5.15 each for 24 or more.